and 30% more pressure increase over stock. 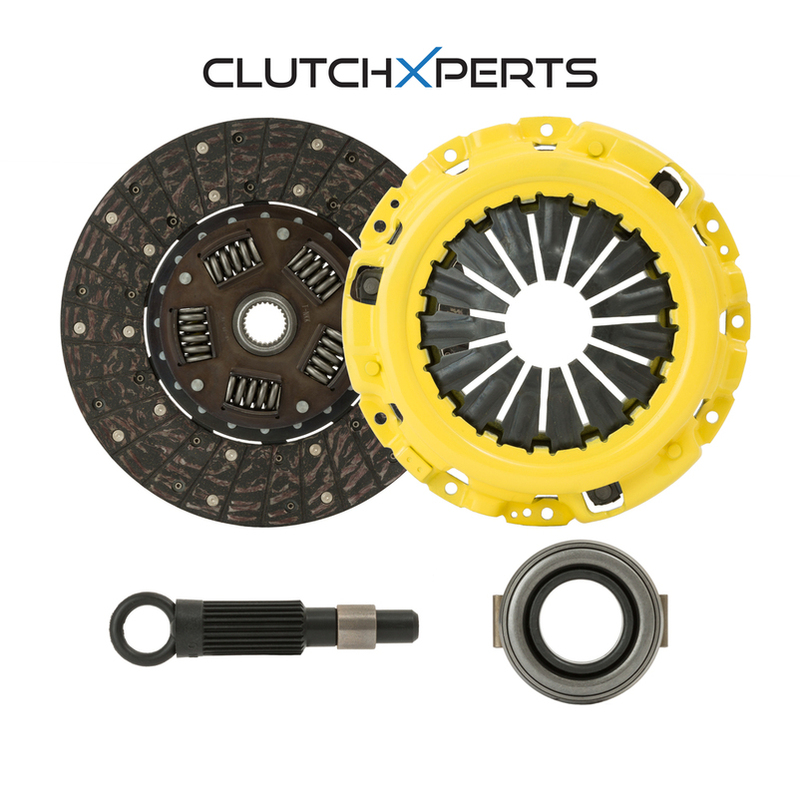 The ClutchXperts Stage 1 racing clutch system uses ClutchXperts heavy-duty pressure plate with steelback organic disc. This clutch is engineered for heavy-duty street use. It is specially designed for extend wear and additional clamping force for the enthusiast who has added an exhaust system, an intake system and mild upgrades or other non forced induction external bolt-ons. This clutch setup offers HI-Leverage pressure plate design and the steet back disc. It offers longer life then stock and normal clutch feed during engagement for very smooth operation. All ClutchXperts Racing pressure plates are made from ductile iron (1800LBS CLAMPING LOAD) which is about 30-40% stronger than conventional cast iron pressure plates other racing clutch manufactures use. It offers 60% more holding capacity than a stock 'OEM' clutch while maintaining a stock pedal feel. This system is recommended as the finest quality 'upgrade' from the original equipment clutch. This kit comes with everything you need for a new clutch job or clutch upgrade. **The throwout bearing and Alignment tool included.